Often when entering Mystery Print Gallery, I have intuited the long space extending before me as a burrow. Not that it feels claustrophobic — the ceiling is open to the second story, and there is plenty of room to move. But far to the back of the rectangular gallery sits the desk of the proprietor, facing the door. To his left and right, two escape routes present themselves: one to private studio space upstairs and one to the framing workshop. So it seems completely appropriate that gallery owner David K. Klarén would come up with a themed invitational exhibit called Animal Shelter. Klarén reached out to eighteen contemporary artists in his network, all but two of whom currently live in Wyoming, and asked them to explore the concept of how animals protect themselves. 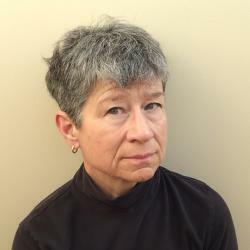 Klaren’s second objective in requesting participants to make new work for the show was to spur them toward materials and approaches unfamiliar to them. Creating from an unaccustomed position has something in common with an animal seeking shelter — exposure to the unknown. That the artists all seem to have embraced this challenge is exciting to see. Several submitted statements about their experiments and what they learned. The works are so interesting and sufficiently well-crafted that the unsuspecting visitor might not realize how far out on a limb (sometimes literally) each artist went. At nearly three dozen innovative, engaging pieces, there are too many artworks in this exhibit to enumerate here, so I will describe just a few. The reader is advised to make the pilgrimage in real life, or look at the Mystery Print Gallery and Frame facebook page photo album. Moreover, the timing for a visit (or shopping online) is perfect, because here are great pieces to live with. 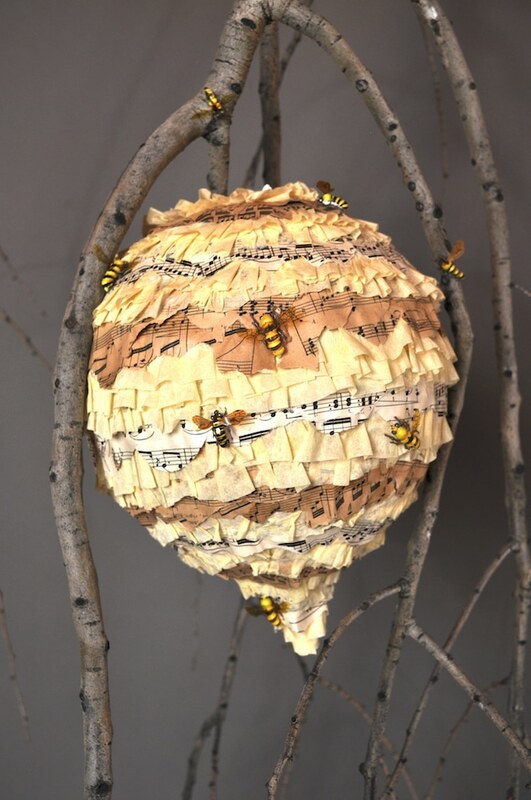 Holland Morelli of Cora gave new purpose to discarded vintage sheet music in her construction of “Pollinator Party Piñata,” a life-sized version of a wasp or hornet’s nest composed (pun intended) of torn and layered music. 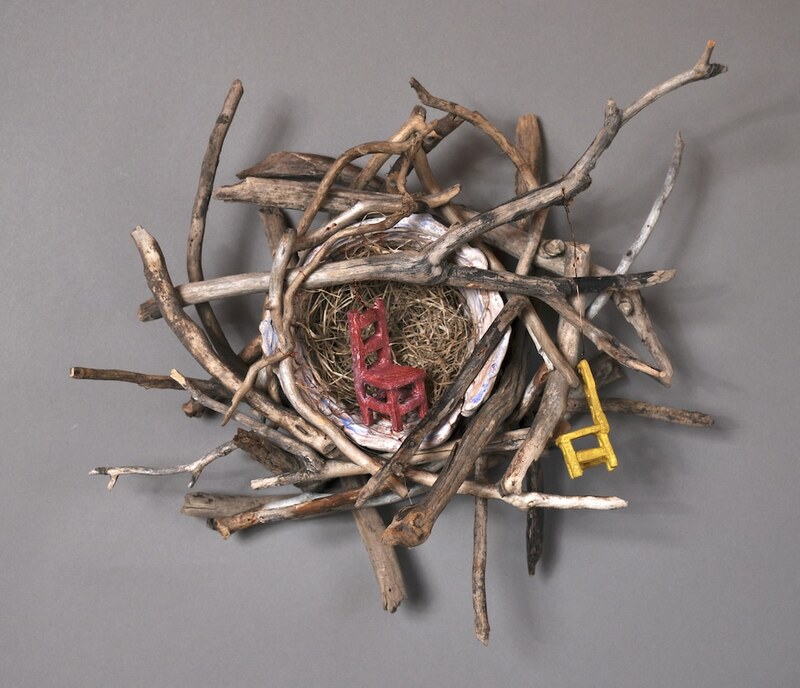 The nest is suspended in the arms of an inverted tree branch that hangs from the gallery ceiling. The approaching viewer will notice fuzzy yellow and black insects (fishing-lure “bees”) lurking on twigs and clambering on the nest. The overall effect is wonderfully sonic, poignant and funny. Holland Dutton says of “Pollinator Party Piñata” that “each animal shelter has a distinct audio atmosphere that surrounds it … the sound life of its inhabitants.” Papier-mȃché of antique papers, fly fishing pollinators, aspen. 58 x 32 x 24 inches. 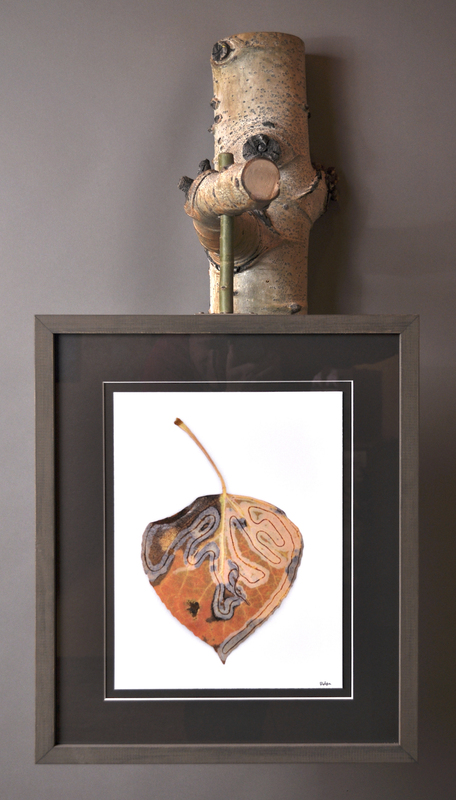 Boulder, Wyoming, photographer Delsa Allen’s close observation of individual aspen leaves in their fall/fallen state has rewarded her with a fitting new theme: any collected leaf that happened to be infested by the aspen leaf miner (in its adult stage, a tiny moth) bears not just an ornate filigree, but also a fascinating narrative of shelter and survival. Data on the U.S. Forest Service website relates that in spring the moth lays a few eggs on a green aspen leaf and folds the leaf’s edge over the eggs. From this pocket, a minuscule flat larva will emerge and tunnel through the leaf’s tissue, protected as it feeds within the leaf’s epidermal layers. The insect pupates inside its “mine,” and just before the leaf drops in the fall, it emerges as an adult moth that will winter within a crevice of pine bark. To stage this blend of art photography, drama, and biology in the gallery, Allen constructed “Hidden Path to Pupation” as a kinetic, interactive sculpture. She attached a segment of aspen trunk to the gallery wall, its familiar silvery bark still intact. A thick branch reaches from the trunk about a foot into the gallery space. Drilled through the branch is an ingenious dowel (also from an aspen tree) from which a large picture frame is suspended. 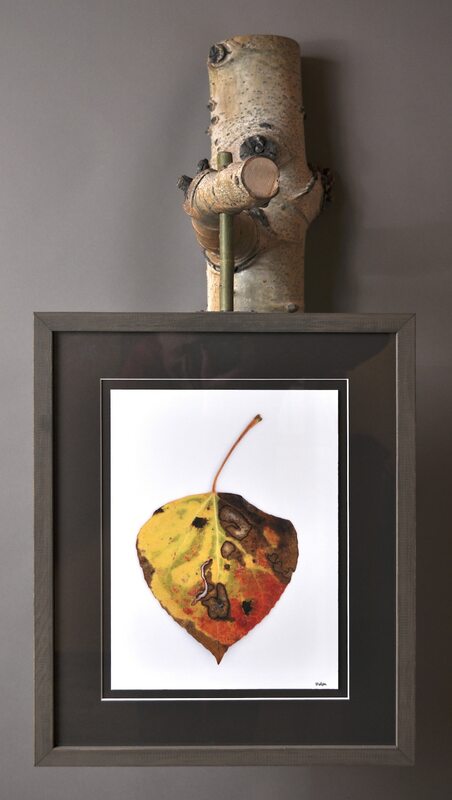 The frame is actually two framed photos back-to-back, and the viewer may spin the apparatus so that one first sees the greatly enlarged top surface of the aspen leaf, with its bright fall colors, some brown blotches, and a curious white scar. When the underside of the same leaf rotates into view, one sees an impressive labyrinthine highway of bugwork that begins at the egg pocket and ends, one assumes, at the scar where the moth burst forth. Time will tell whether the elaborate sculptural treatment best suits this rich topic, or other possibilities arise. Camellia El-Antably (Cheyenne) has produced an illustrated letterpress/collagraph broadside in collaboration with David Romtvedt (Buffalo), former poet laureate of Wyoming and winner of — among other numerous accolades — a 2019 Wyoming Arts Council creative writing fellowship. 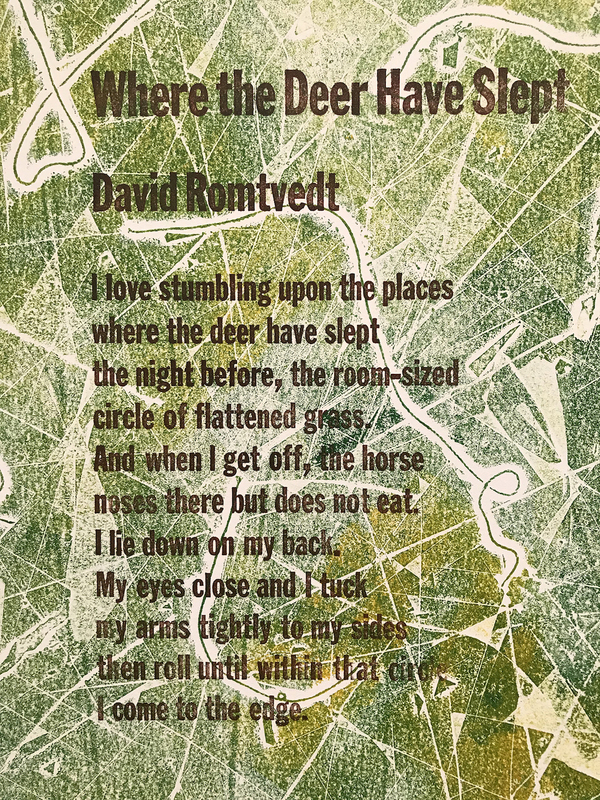 “Where the Deer Have Slept” takes its title from Romtvedt’s poem of the same name. El-Antably has set the type in dark brown boldface upon a scratchy-looking background of green and amber. The viewer must approach closely to read both the text and the fractured, thready forms in the background. At which point, their unity becomes clear as the earth-tone colors blend and the poem’s content resonates within the wild overlapping textures of the collagraph. When literary and visual art come together like this, it’s heaven. 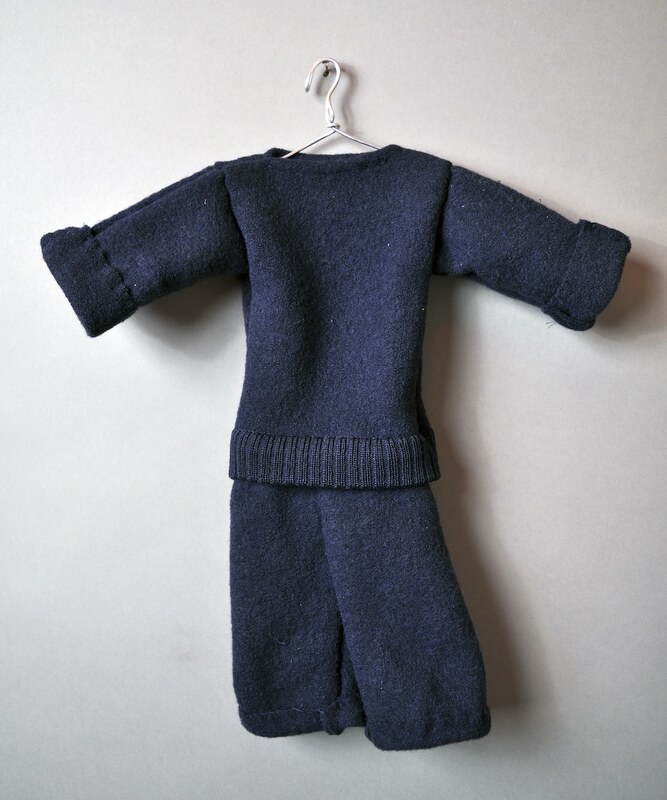 Bronwyn Minton (Jackson) contributed “A Sweater is a Garment Worn by a Smallish Animal When a Human is Cold.” Upon a coat hanger hand-bent from heavy gauge sculpture wire, a boiled wool suit fit for a lanky infant strikes a confident, impresario-like pose. The fact that it obviously had a previous life as a much larger human’s sweater, now cut down and roughly hand-stitched, only adds to its poker-faced simplicity and charm. This is one of two works in “Animal Shelter” that overtly acknowledges human membership in kingdom Animalia. Much animal sculpture in the Mountain West leans heavily on surface realism (all detail, no depth) such that it pales beside the actual creature seen from any Wyomingite’s kitchen or truck window. “Prairie Hare” by Les Paul Postma (Farson) is a satisfying departure. 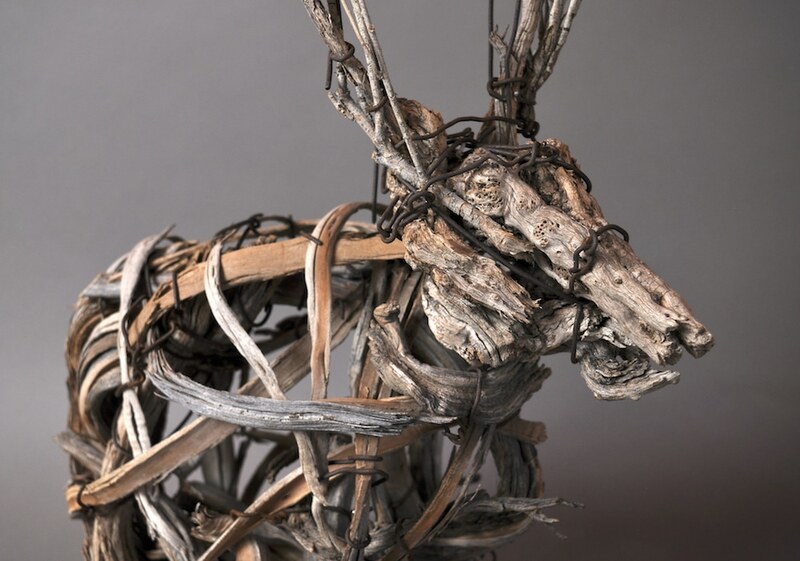 With a nod toward Montana artist Deborah Butterfield’s equine constructions, Postma’s slightly-larger-than-life jackrabbit appears to have spontaneously generated from its habitat. 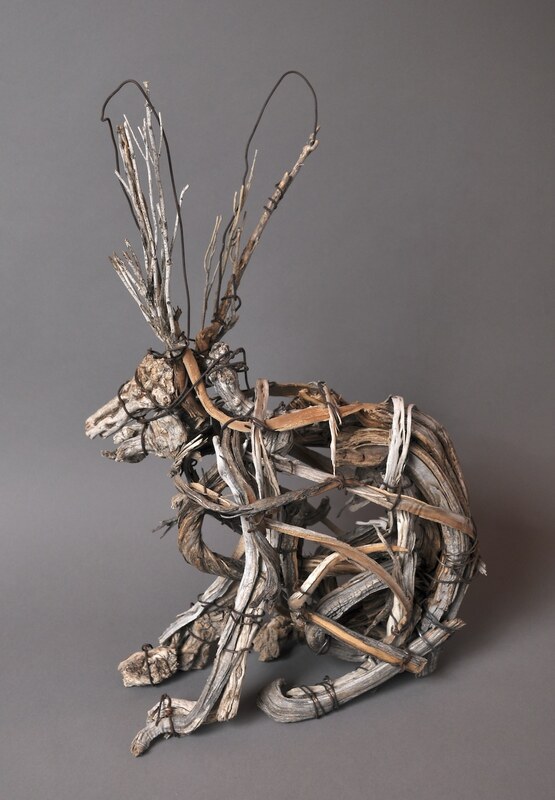 Fragments of weathered sagebrush, what appear to be old chunks of willow, and rusty wire agglomerate into the iconic hare, crouched and watchful. The animal and its terrain are one; the perfect camouflage is its only shelter. Other participating artists in this vibrant exhibit are Christy Anspach (Boulder, Wyoming); JB Bond (Daniel); Alissa Davies (Boulder, Colorado); Jenny Dowd (Alpine); Margaret Haydon (Laramie); Jun Ishida (Brooklyn, New York); David K. Klarén (Pinedale); Eric Lee (Cheyenne); Charmian McLellan (Boulder, Wyoming); Mona Monroe (Alta); Mae Orm (Pinedale); and Mark Vinich (Cheyenne). 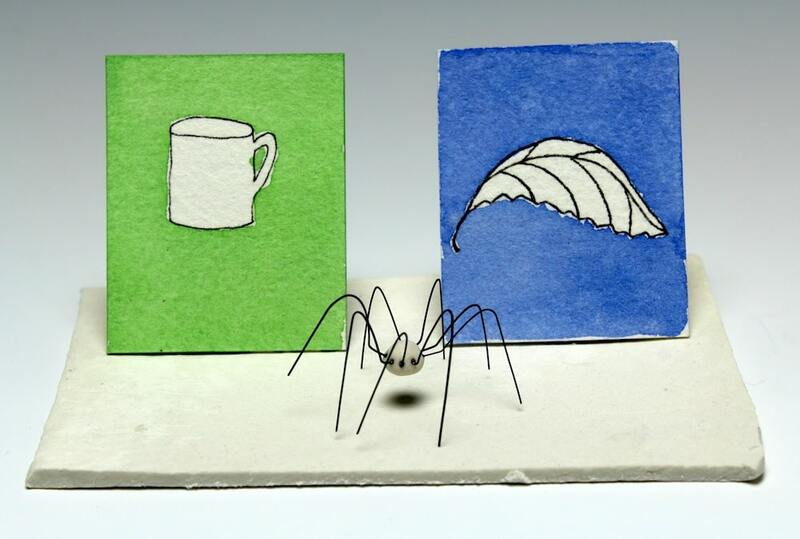 Media consist of all manner of ceramics, hot glue, paint, colored pencil, vintage found objects, and even origami. So, why are exhibits like this so invigorating? At the recent Governor’s Business Forum in Cheyenne, technology pundits mulled the future of the human workforce. What jobs will remain for us, after machines make people obsolete in nearly every industry? One futurist said that we must learn not only to think better, but we must also leverage three special human abilities: open-ended problem solving, empathetic thinking, and collaboration. Every artist in “Animal Shelter,” by inhabiting and then uniquely articulating the experience of a creature seeking shelter, has delved deeply in hallmark human capacities and convincingly answered the question “why art?” Why exercise our minds and hearts to think creatively, imagine alternatives, or understand what motivates us and our animal colleagues? The answer might hinge on whether we want to outlast — and live better lives than — our machines. Surely, the most nutritive habitat for our unique and powerful human talents are the arts and humanities. They could prove to be the best shelter of all. Gallery Hours: Tues., Wed., Fri., Sat. Sue, this is really incredible. I loved looking at the pieces shown and the article was so interesting. Delsa I just love you work too.. Congratulations to all, very impressive and imaginative work. Thanks for this glimpse. And for your thoughts about the work. 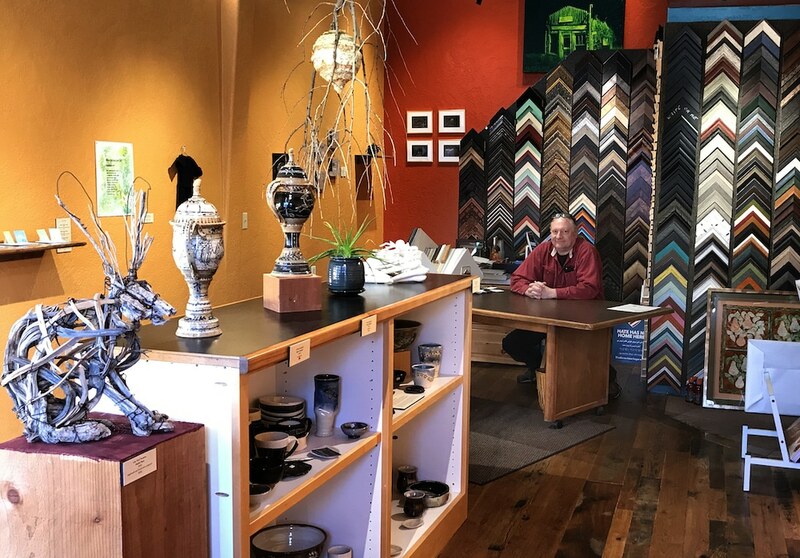 I didn’t know David had a gallery and frame shop. Have to get to Pinedale. Thank you for the wonderful article. I will endeavor to make the trip to Pinedale before the end of the show.